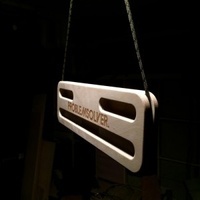 The Problemsolver Training hangboard for climbers, comes with a wide range of fixed holds. 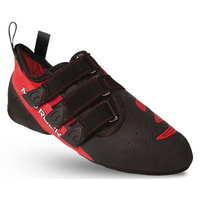 You can hang on the top of the board, perfect for chin-ups, front levers etc. 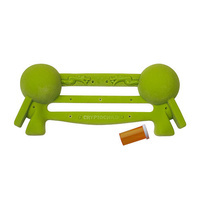 The holds are 19 mm, 17 mm, 15 mm, 13 mm and 11 mm. You can use them all for two handed deadhangs. You can also do one arm dead hangs by using the center holds which are 17 mm and 15 mm. 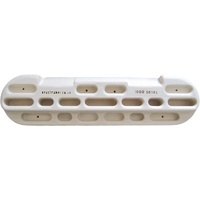 The center hold on the backside of the board, which is 19 mm. For mounting, they use a 4.0 mm accessory cord. This Training board is made out of traceable birch and measures 400 x 160 x 24 mm. 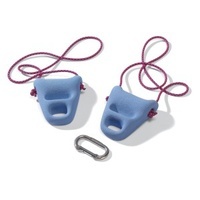 You can mount the hangboard in 3 different ways to make it easier or harder. Ideal warm up board at the crag - light and portable. 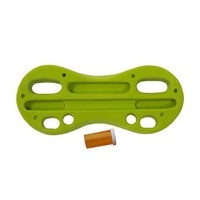 This Poblemsolver Training board is made snug enough to fit into your bouldering crashpad or climbing rope sack on your way to the crag, or in your hand luggage if you are traveling. 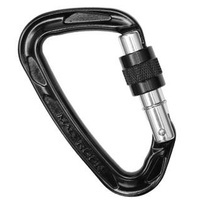 Get strong but making this device part of your climbing gear.